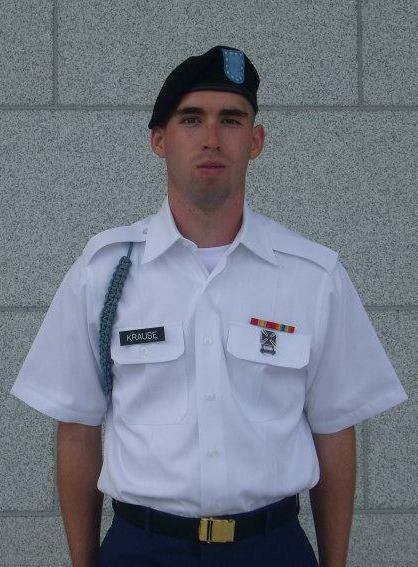 The Round Lake Area Exchange Club and sponsor, Dr. Connie Collins of Round Lake Area School District 116, are proud to announce the March hometown hero, U.S. Army Private Second Class Daniel David Krause of Round Lake. He was registered for this honor by his mother, Debra also of Round Lake. Krause is a 2009 graduate of Round Lake High School. Krause is part of the 25th Infantry Division currently stationed at Schofield Barracks in Hawaii. He is an 11 Charlie Infantry Mortarman and his family is hoping to have him home on leave this summer. All heroes receive a “Hanging with the Heroes” care package delivered with a personalized “Hanging with the Heroes” t-shirt (donated by Artrageous of Hainesville), a piece of home and letters from Round Lake Area School District 116 students. Krause’s package will also be filled with chips, cookies, gift card for subway, snacks and warm socks thanks to the support of this months sponsor Dr. Connie Collins. The Round Lake Area Exchange Club will present a plaque to family on Wednesday, April 10 at 7:30 a.m. at Panera Bread in Round Lake Beach.